This year’s football participatory event switched venues from HW University to Saltire Soccer Centre due to major refurbishments at the Riccarton Campus and the new Midlothian host really scored with the young people. The format of the event allows the young players to experience the sport of football in an environment very much focused on participation. The first session provides the opportunity to try five fun skill stations focusing on shooting, passing and dribbling, all led by experienced Scottish FA coaches. The format allows for adaptations in the skills and drills to suit the ability of the young person, which ranged from beginner to competent players, and hopefully provides a positive introduction to the sport for some. The second session encourages the young people to put their newly acquired skills into practice and play small sided friendly games against their peers from across the Lothian region – promoting social interaction as well as developing their technique. In total, the event attracted 76 young people from across three local authorities with schools from East Lothian (Musselburgh GS), Edinburgh (Pilrig Park, Prospect Bank PS, Royal Blind School & Woodlands) and West Lothian (Cedarbank & Pinewood) attending the event at its new home. 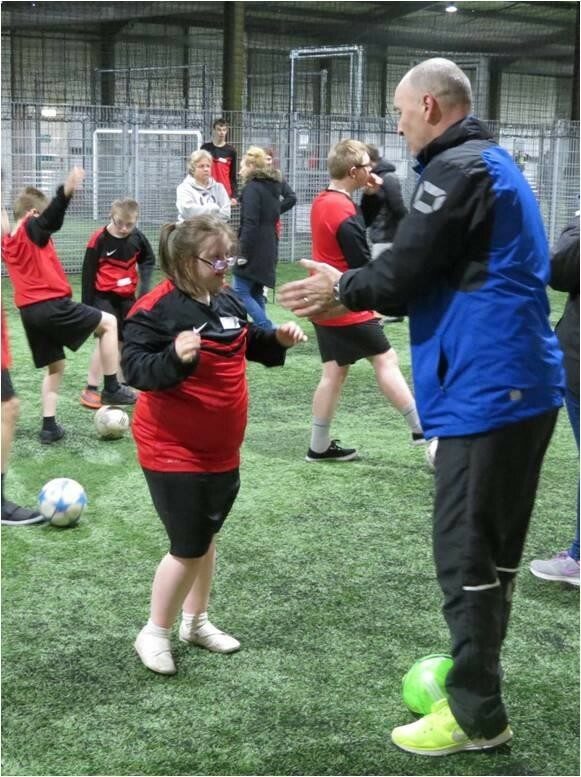 In addition to the delivery from the SFA coaches, the event also benefited from the presence of 7 senior pupils from nearby Newbattle High School who supported the pupils through the skills and drills session by providing encouragement in a fun and enthusiastic manner. The Midlothian Active Schools team were also on hand on the day to provide their support, in addition to their hard work in the lead up to the event.